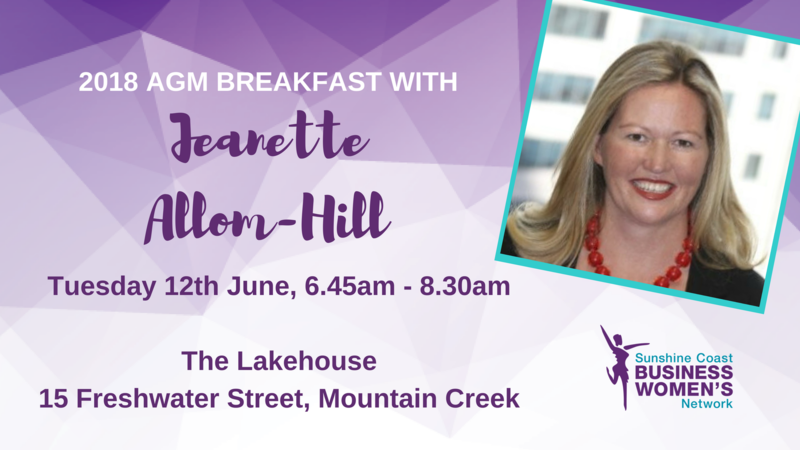 Jeanette Allom-Hill is a highly experienced Senior Manager, a proven leader and an expert in Change Management. She has a strong history of creating positive and sustainable cultural change within large multifaceted organisations and has a passion for leading large teams though transformational change and helping business embed and sustain change in order to lift delivery and productivity across the whole organisation. A highly respected and sought after expert in the field of Strategy and Change Leadership, as well as the Managing Director of a Company founded on the belief that Change Mastery is a fundamental capability for success, Jeanette joins the Sunshine Coast Business Women's Network for their AGM to discuss the topic: 'Change - leading, managing and coping'.